The United States flag has a long and storied history, and it has gone through many changes throughout the years. The first flag the Americans used was the "Grand Union" flag, an adaptation of the British Red Ensign. 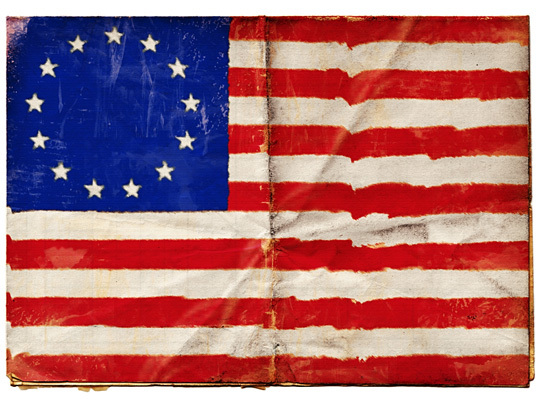 The flag, which was adopted in 1775, featured 13 red and white stripes in reference to the 13 original states. 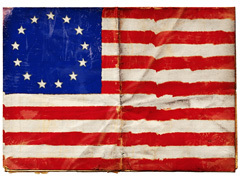 This original flag laid the foundation for the "Stars and Stripes" flag that the United States flies today. In 1777, the flag went through a redesign, with the goal of representing the fact that it was officially no longer under British rule. The Union Jack was removed, and a canton with 13 stars replaced it. The 13 stars, like the 13 stripes, represented the original 13 states. This version of the United States flag, sometimes called "the Betsy Ross flag", was the first time the stars and stripes were used together in this manner. In 1795, when two new states joined the Union, two new stripes and two new stars were added, for a total of 15 stars and 15 stripes. This flag, known as the "Star Spangled Banner," set a precedent for adding additional stars and stripes every time a new state was added. After 1795, five new states were added, but a new flag wasn't designed until 1817. 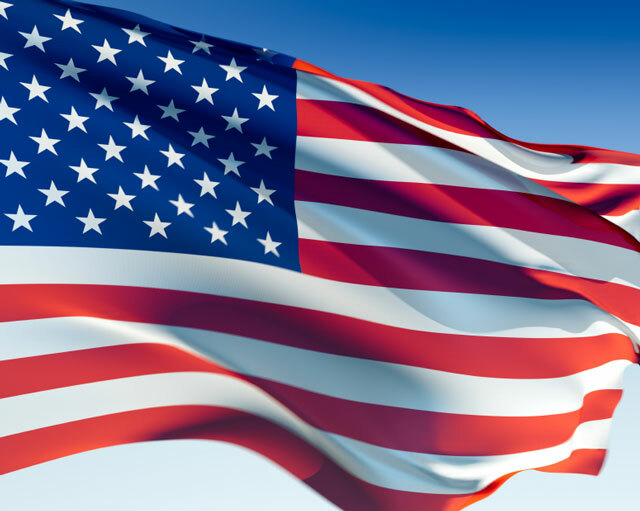 At this point, it was decided by Congress that the flag would revert to 13 stripes, not only to preserve its appearance, but also to represent the 13 original states. New states that were added to the Union from then on would be represented by a star. The new stars were added on July 4 of 1818, and, since that time, the United States has followed this policy of adding stars when new states joined the Union. Today, there are 50 stars on the canton, one for each of the current states in the United States of America. If a new state joins, the additional star is added on July 4 of the following year. The last star was added on July 4 of 1960, after Hawaii joined the Union in 1959. 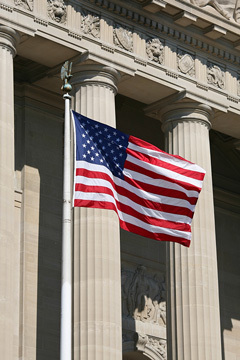 US Facts - information about the United States and its flag. USA.gov - official United States government portal. USA Map - United States maps and geographical information. 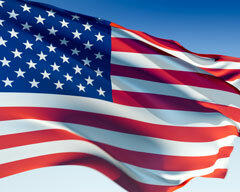 United States News - USA news articles and facts.